Shotcrete & underground structures. Offshore & coastal concrete. High rise buildings. Dams and bridges. Heavy duty floors & pavements . Grouts and mortars. SCC and HPC. 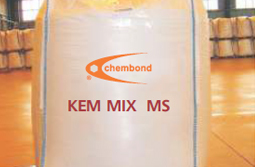 Kem Mix MS is dosed between 5 to 10% of cement by weight depending on mixdesign requirements. 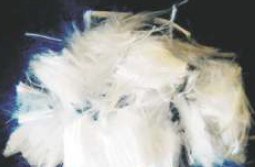 KEM FIBRE 84 is a high performance micro polypropylene fibre developed as a crack controlling additive for cementitious materials. It is available as monofilament 6mm in length for plaster and mortar. It is used to inhibit the formation of small cracks which can occur through plastic shrinkage, premature drying and early thermal changes in order to provide utilization of the intrinsic properties of the hardened cementitious material. Specifically designed for crack control in cementitious materials covering areas such as conventional shotcrete, screeds, rendering mortars etc. 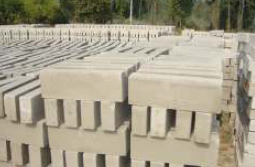 Concrete blocks use mix of cement, sand, stone chip/crusher dust with low w/c ratio suitable for moulding in block making machines. These mixes have very low work ability. It improves the work ability and homogeneity of the mix which help in attaining higher density of blocks when pressed in block machine or hand operated machines or cast at site in steel/wooden moulds. 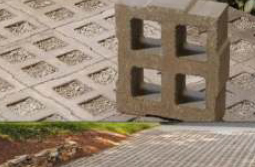 KEM BLOCK AID 1 is developed to get over the deficiencies of dry concrete mixes. KEM BLOCK AID 1 admixed in the concrete mix at a nominal dosage of 140 ml per bag of cement dramatically improves the work ability and homogeneity of leaner mixes apart from improving overall strength and surface finish. 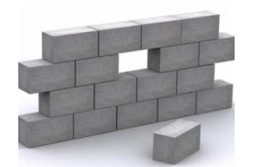 KEM BLOCK AID 1 is used as an admixture for making concrete blocks, paver blocks & cement blocks. 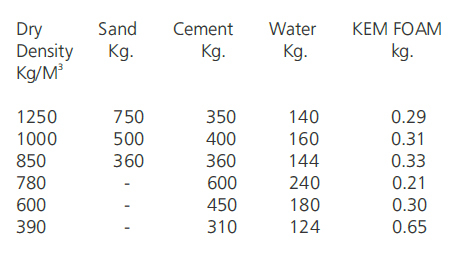 Kem Accel W is a chloride based liquid admixture specifically designed for use in concrete, portland cement and mortar. It is a ready to use liquid, added directly to the gauging water to reduce set times of concrete and mortar mixes. It should not be used in concrete with reinforcements as it is based on chloride which contributes to the corrosion of rebars. KEM FOAMAID 100 is colourless to brown liquid instantly miscible with water. 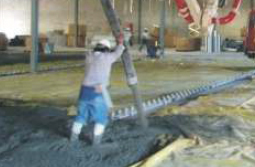 KEM FOAMAID 100 is used to produce light weight concrete mixes, with or without aggregates. When cement or mortar is used for lubrication of pump-car piping at the early stage of concrete casting, letting it flow into a structure can bring about structural problems such as the deterioration of strength or if otherwise scraped, it can lead to an environmental problem. Moreover, the mortar mixed into concrete may adversely affects the quality of the concrete. If the boom length is more than 150 feet (approx. 45 meters), required quantity is 220-liter bowls of solution from two packs of KEM PUMP PRIME SL.